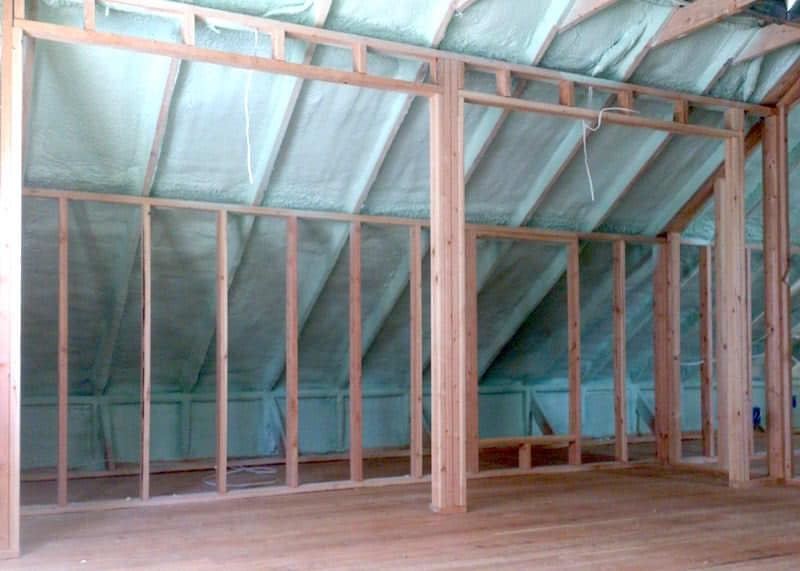 Spray Foam Insulation is the preferred method of insulating new and existing homes due to the increased emphasis on providing energy efficient, comfortable homes. 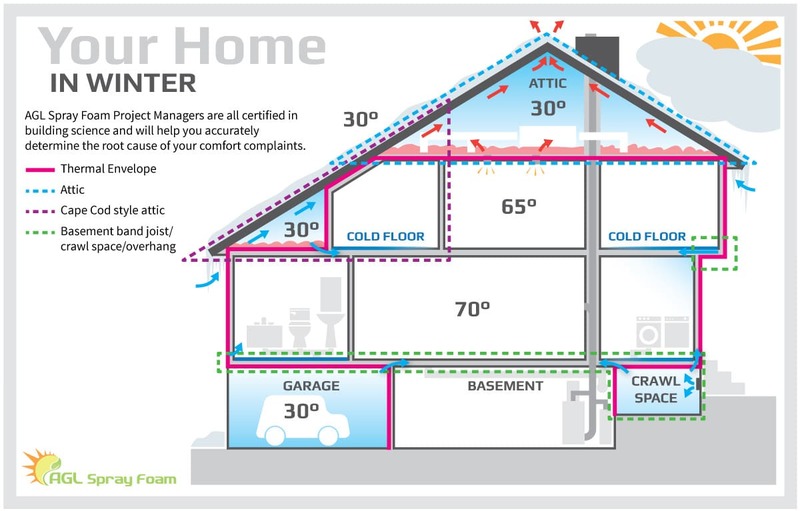 In Greater Philadelphia, homeowners often share a common characteristic – lack of indoor comfort! Does your home suffer from one of these common comfort issues? With the cost of energy rising, homeowners no longer want to make their house comfortable by simply turning up the thermostat – they want real, long term solutions that will improve comfort, reduce heating and cooling bills, and improve indoor air quality. Years of study by the Department of Energy, RESNET, The Building Performance Institute, and major universities have shown conclusively that the best, most cost-effective measure to improve all of the issues mentioned above is effective insulation and air sealing. Properly insulating and air sealing a home will reduce or eliminate most complaints associated with poor comfort while reducing utility bills by as much as 50%! AGL Spray Foam Can Help! Click here to schedule your spray foam consultation today! AGL Spray Foam Project Managers are certified in Building Science and will help you accurately determine the root cause of your comfort problems. Our experts will recommend open cell or closed cell spray foam based on your specific situation. Spray Foam installed by AGL Spray Foam is the only product that can provide BOTH an effective air seal and effective insulation R-Value. Notice the key differences in the home on the left – before spray foam – and the home on the right – after spray foam. Why AGL? Understand the AGL difference! Ready To Be More Comfortable At Home? Start the process today and get your free evaluation by calling us at (800) 957-1229 or completing the quick form below! ©2019 AGL Spray Foam. All Rights Reserved.